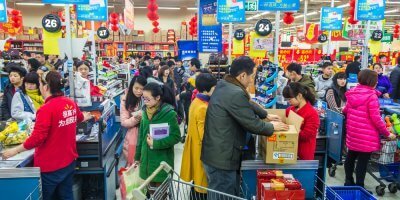 CHINESE e-commerce players are setting their sights at China’s smaller cities to spur consumption, following the recent economic slowdown. For example, Shanghai-based Pinduoduo recently stated that most of its customers are from lower-tier cities. “Such demand may have been unformed or unmatched in the past, but now they are crystallizing and being fulfilled on our platform,” said Xu. 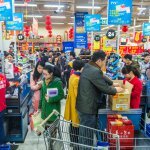 This recent development is a much-needed boost for China’s e-commerce companies since sales from big cities such as Beijing, Shangai, Guangzhou, and Shenzhen have taken a big hit. Moreover, retailers have been ramping up efforts to expand in smaller cities after the government set a modest economic growth target of 6 to 6.5 percent this year. The reduced projections is a result of multiple factors, which include the trade conflict with the United States, rising debt levels and lower private sector lendings. However, US-based financial institute Morgan Stanley expects small cities in China to drive two-thirds of China’s national consumption growth from 2017 to 2030. 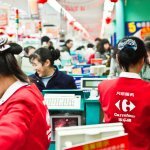 CAN E-COMMERCE GROWTH PUSH RETAIL IN CHINA AHEAD OF THE US? One marketing firm report stated that consumers from the smaller cities are growing in affluence. It claimed that five percent of them are of the same income level as the average American consumer. He explained that this group takes advantage of the lower cost of living in smaller cities. “[They] …have all the trappings of an upper-middle-class lifestyle: imported cars, expensive electronics, and trips to big cities to buy up on luxury goods. “The LTLL group aren’t afraid to splurge to have the same kind of lifestyle they see on TV dramas, and they’re still very much in the conspicuous consumption phase,” Norris said. 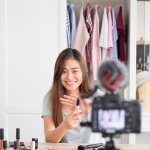 According to PinDuoDuo CEO Colin Huang Zheng, consumers within this segment have not been served adequately in the past. They did not enjoy the same product selections and quality as consumers in the big cities, according to him. The company, seeking to tap into the burgeoning market segment also credited for the “team-buying” concept. Team-buying is when consumers share the product they wish to purchase on social media. They then buy the item together with friends at a discount. Following the introduction of the method, spending on the platform by its users almost doubled, according to the company. And, PinDuoDuo isn’t the only e-commerce player that has noticed this profitable market. 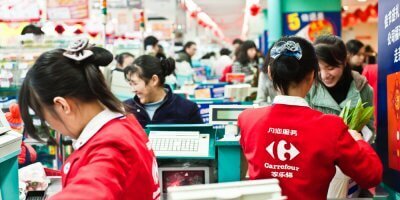 China’s other online retailers have set their crosshairs on this lucrative segment as well. China’s biggest e-commerce provider, Alibaba in its latest earnings call, claimed that customers from lower-tier cities account for over 70 percent of its user growth. Tencent’s VipShop also attributed its most substantial growth to the smaller cities. In short, China’s economy which is transitioning will continue to make a massive impact on all industries. The growing affluence of those from smaller cities could be the boost it needs, to reverse the slump.